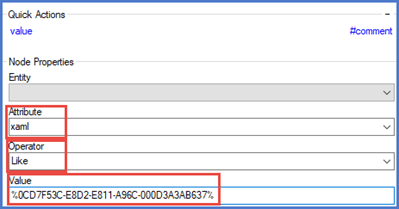 There is a new feature in V9 that allows us to define a field type as “auto-number.” As a few Microsoft Dynamics 365 commentators have noted, there is no way as yet to set a field as auto-number from the UI. It must be done using the API. For more information, see Microsoft’s documentation at: https://docs.microsoft.com/en-us/dynamics365/customer-engagement/developer/create-auto-number-attributes. There are a few installable solutions and external tools available that can do this for you, but that is outside the scope of this blog. Today, we’re talking about some of the things we’ve learned about the behavior of auto-numbered fields when importing data or solutions. Early descriptions of the feature indicated that it was necessary to define a field as auto-number as it was being added to the schema. However, experimentation has shown that it is possible to add the feature to an existing text field. 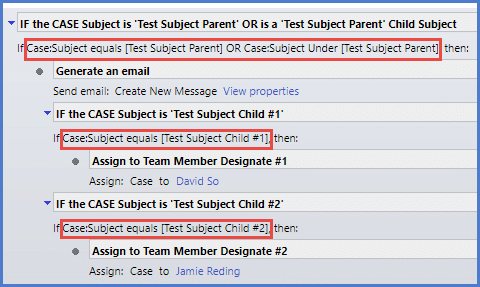 This means that you can add auto-numbering to a text field that already exists in your Org – you don’t need to deprecate the field and use a new one, or go through the tedious process of removing dependencies, dropping the field, re-adding it with the new data type and putting the dependencies back in. V9 Auto-number fields are text fields with an additional property indicating that they are to have auto-numbering applied. Adding this property does not affect any data in existing records. But it does make the field read-only. Any new records will be assigned a value by the built-in auto-number plugin. The auto-number plugin runs pre-create on the creation of a new record. 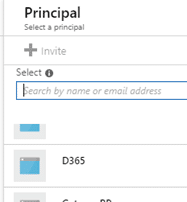 If you import a solution from an Org that has a field defined as auto-number into a D365 Org in which the same field is defined as plain text, it will add that property and the field will be updated to auto-number. However, if you import a solution from an Org that has a field defined as plain text into an Org in which the same field is defined as auto-numbered, it remains auto-numbered and none of the numbering is affected. Importing an auto-numbered field into a new org restarts the numbering sequence for seeding at the default of 1001 for the next added record. 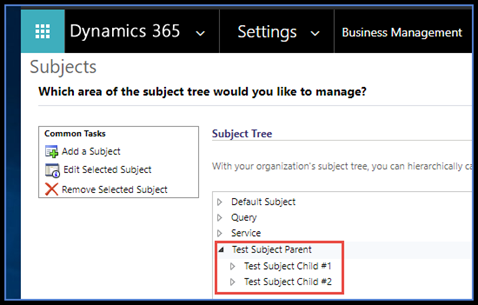 This occurs whether it is a new or updated field – it uses the database “sequence” function, and the solution has no awareness of the last used number in the source D365 Org. For more information on this, see the details under Set Seed Value in the Microsoft documentation referenced above. If Imported records have data, they will retain the same value that they are brought in with. 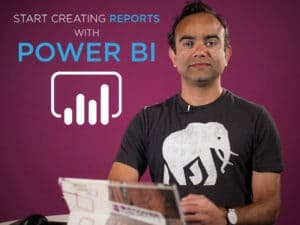 If there is no data in the field (either brought in with no data in the CSV or if the field is not present), they will be assigned sequence numbers when imported. There is no guarantee that the numbers applied are unique. If a pre-existing record has a number that will be assigned by the feature at some point in the future, the feature will apply that number. If a record is imported with a value in the sequence number field that is also present in the database, it will generate a duplicate number (unless you defined the auto-number field as an alternate key). Hopefully, you find these learnings helpful. Don’t forget to subscribe to our blog for more Dynamics 365 tips and tricks! In today’s D365 In Focus video, Jon talks about the ways Microsoft Dynamics 365 is being used to address trends that are affecting public sectors today – including digital engagement, machine learning, self-service, and improved data security. Check it out! 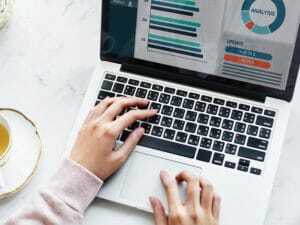 What exactly is Microsoft Flow? Microsoft Flow is a platform that lets you integrate solutions within your business. 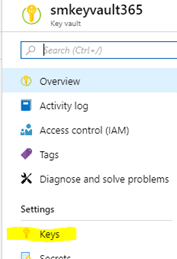 With Microsoft Flow we can set up some easy rules where based on a certain trigger various actions happen in one or more solutions. 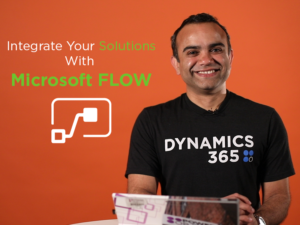 In this D365 In Focus video, Venkat will walk you through two scenarios of setting up Microsoft Flow. Check it out! 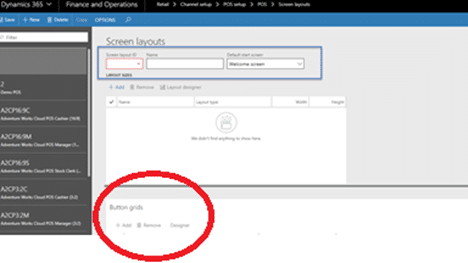 In today’s blog, we explain how to set up screen layouts and buttons grids for the Point of Sale (POS) device within Dynamics 365 for Retail. 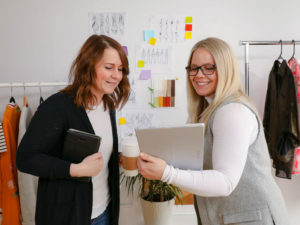 The idea is to capture your business functions on the screen layouts – and maybe even have a little fun in designing it to your exact specifications. To begin the process of setting up your screen layout, navigate to Retail > Channel setup > POS setup > POS > Screen layouts. 1. Click +New, and in the Screen layouts popup window, enter Screen layout ID and Name. Leave Default start screen as Welcome screen. 4. 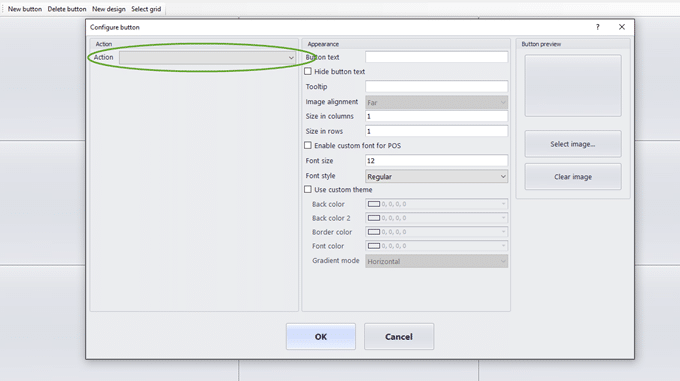 With your newly-created layout screen highlighted (as shown below), click Layout designer. The Layout Designer feature provides insight into the design of the screen. Once logged in, you will see a blank page, like the one shown below. To begin the process of setting up your button grids, navigate to Retail > Channel setup > POS setup > POS > Button grids. 1. Click +New, and in the Button grids popup window, enter Button grid ID and Name. In the General section, leave the default settings. 3. Click on Designer to reveal the page below. Click Open and enter your credentials. It is important to note that every time you enter a button grid you will be prompted to log in with your credentials. In the Button grid setup popup window, enter the number of columns and rows you desire for the Welcome and Transaction screens. 5. Right-click on any button to reveal a popup window in which you define button properties. In the Action dropdown menu, customize each button to a function you require, like Add Coupon Code, Add Loyalty Card, Create Retail Transaction, Issue Credit Memo, Bank Drop, and many others. You can also select images, font size, back color, button size, and more. Once you’ve created your transaction screen and button grids, it’s time to link your button grids to your screen layout. To do so, go back to your Screen layouts window and scroll down to see the Button grids field. 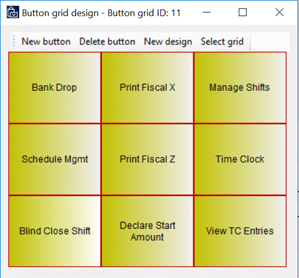 Button grids are used to outline business functions that will be used in the POS. 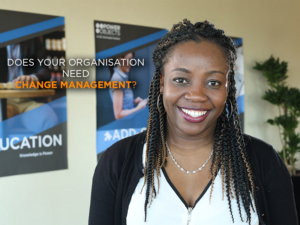 They can also be tailored towards your company’s business actions. POS Functionality Profiles are also available to help standardize and differentiate functionality that is available to a regular or standard POS device versus a kiosk that requires different functionality. These Functionality Profiles help to easily provide the functionality needed at different points in the retail process. 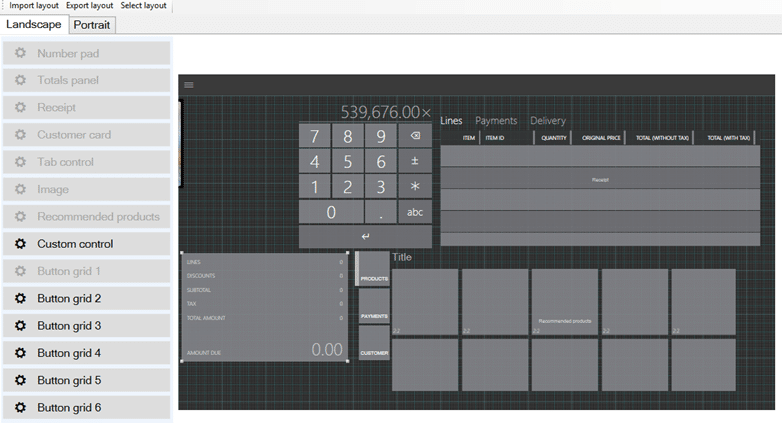 Before designing your screen layout and button grids, it is considered an important best practice to first outline the business functions that will be used on your POS unit. It is important to determine tender actions, customer actions, loyalty actions, and discounting. Take into consideration all business process flows that will affect your POS functionality. This will provide the overall infrastructure and give you the foundations to build out a successful POS. We hope this little tutorial was helpful. Follow our blog for more Dynamics 365 posts! The Colchester Borough Council (The Council) is a local government authority within the County of Essex in the United Kingdom. 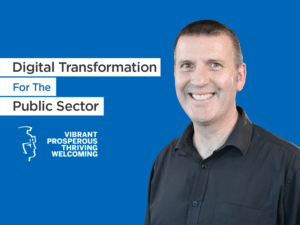 With roughly 600 permanent staff based out of at least ten locations, The Council is one of the largest district authorities in the country, providing services to approximately 190,000 residents. 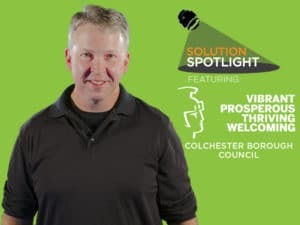 To ensure long-term success and adoption of their Microsoft Dynamics 365 implementation, PowerObjects provided development training to the Colchester team at the start of their implementation and again one year afterwards. Watch this Solution Spotlight video to learn more about the benefits of implementation and reinforcement training! 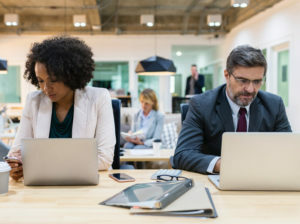 In today’s world of hyper-awareness around security and compliance, many companies are struggling to find ways to protect their data. On the surface, encryption seems like the most effective way to do this – and in some cases that is true. Disk level encryption has been around for years and can be as simple as clicking a button to enable. For workloads running in Azure, disk level encryption is the standard and turned on by default. This baseline protection only helps in the case of stolen or lost disks or containers that are downloaded without using the proper authentication. For example, if your laptop disk is encrypted and you were to lose your device, no one could get to the data without your login. However, once you are logged in, you have access to all your data, which is how it needs to be for the data to be useful. When we think about how data is accessed, this once-logged-in vulnerability is very common. As another example, let’s look at SQL server. A SQL database is stored on a disk. If that disk is encrypted the disk controller or the OS decrypt the data before SQL server even sees it. Therefore, anyone with access to the SQL server can still see all the data. The workaround for this is to encrypt data at the SQL server layer. SQL Server 2016 and above offers some great features to facilitate this, but not every application can take advantage of them because it requires a very specific chain of SQL commands to encrypt and decrypt data. Although most modern applications will have no issues with this, some still do. Microsoft Dynamics 365 for Finance and Operations is one such application. Since the SQL connection code is part of the kernel, developers have no access to it and cannot implement the newest SQL encryption features. This means that the encryption must happen at the application layer. To complicate matters further, the SaaS model prevents developers from easily accessing certificates or keys that are common artifacts in encryption algorithms. 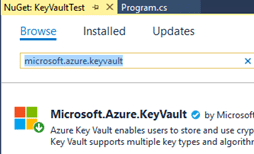 Enter Azure KeyVault. Azure KeyVault is a Key Management System (KMS) that is itself a SaaS offering. 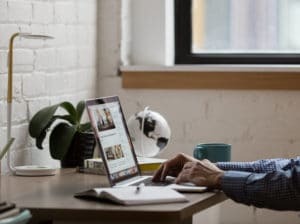 Because the service is available to any system that can connect to the Internet, we can take full advantage of it in D365 for Finance and Operations. 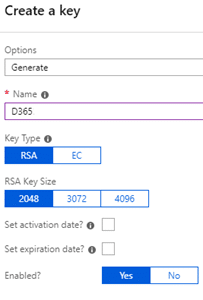 This blog will show a simple way that a developer can implement key-based encryption to store SQL data consumed by D365 for Finance and Operations. If implemented correctly, this method could even be used to protect production data that is restored to dev/test environments. On the other side, companies that are implementing BYOD would need to ensure their changes did not remove access that data. To understand what components are involved, here is an overview of the process. 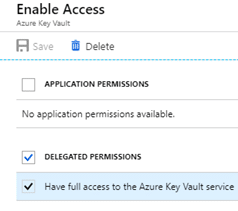 Any user that has access to the Azure subscription it is deployed in can access a KeyVault. This user level access is cumbersome when calling from a potentially large number of applications. As such, we can define an application at the Azure tenant level and provide the application access to the KeyVault. 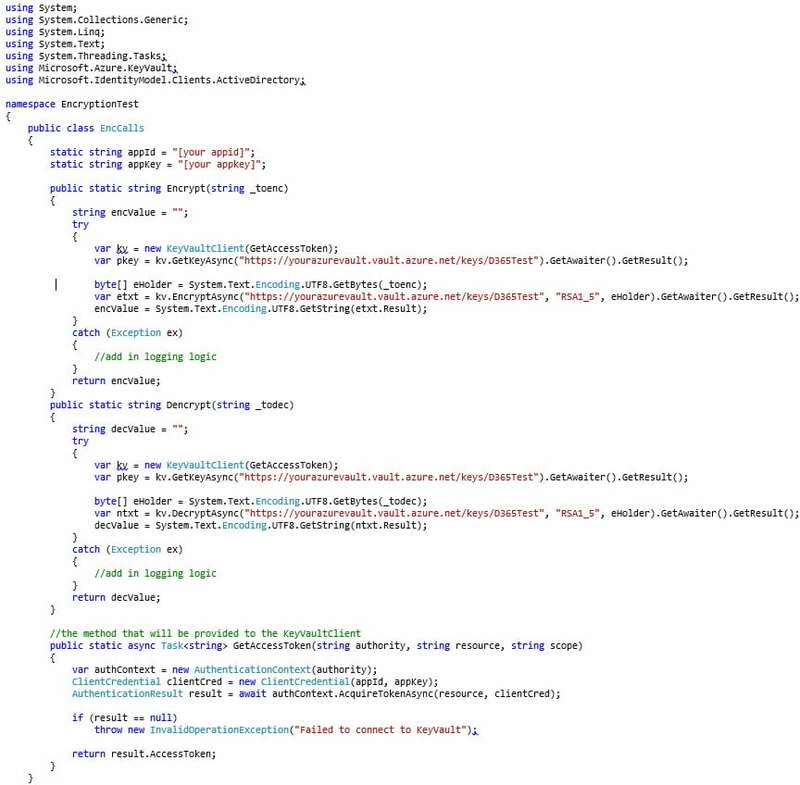 This will generate an application id and key that can be used to provide authentication. Once we have the application defined, we will need to consume it in our D365 for Finance and Operations code so that we can query the keys defined that will be used during the encryption and decryption process. As a final step, we will need to modify the insert, update, and read methods of the table that we will be storing encrypted data in. Note that this document does not present a complete and secure implementation. Care must be taken to not lose the key used in encryption as it can result in the permanent loss of data. At the same time, control of who has access to the key is critical as anyone with the key can decrypt the data. To complete this setup, access to an active Azure subscription is required. This blog will show how to complete the process using the Azure Portal; however all these steps can be completed using PowerShell or the CLI. 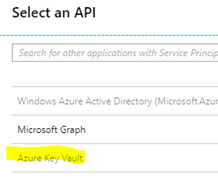 To start with, we will create the Azure KeyVault. 2. 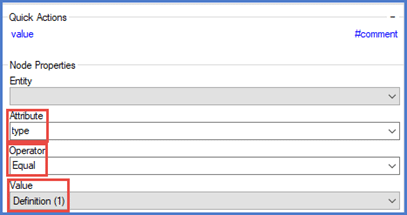 Click All services and enter Key vault in the Filter field. 3. Click on Key vaults. 4. Click Add to create a new Key vault. 5. Enter in the required information and click create. 6. Open the newly created Key vault. 8. Click on Generate/Import to generate a new key. 9. Make sure Generate is selected, enter a name and click Create. 10. Click into the new Key and copy the Key identifier. We will need this later. With the Key created, we now need to create an application that will grant us access to the Key Vault. 1. 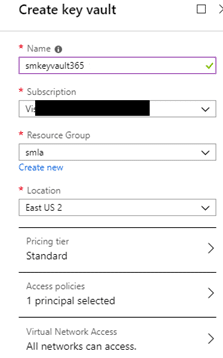 Click on Azure Active Directory in the Services list. 2. Click on App registrations. 3. Click New application registration and enter the information. 4. Note, the Sign-on URL does not have to be valid but should belong to a domain registered to you or your company. Make note of the URL, we will need it later. 5. You may have to change the dropdown filter to All Apps to see the newly created app. 6. Click in to the App and click Settings. 9. Click Select an API. 10. 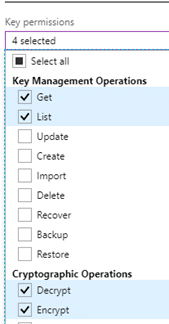 Highlight Azure Key vault in the list and click Select. 12. 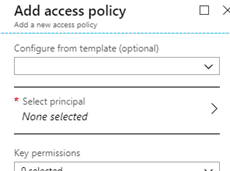 On the Enable Access blade, click to select Delegated Permissions and Have full access. 13. Click Select and Done. 14. Still in the Application, click on Keys. 15. Enter a new Key description and select an Expires date. 18. COPY THE KEY VALUE NOW. There is no way to return to it or recover it if it is lost. 19. Note that this secret can be used to control application access and can be set to expire. If there is ever any doubt that it has been compromised, simply generate a new secret and update the applications using it. This will not affect the encrypted data as it only affects access to the Key vault and not the Key vault itself. Now that the Application is created. We must give it access to the Key vault. 1. Return to the Key vault created in the previous section. 2. Click on Access Policies. 5. Scroll down or search for your application and select it. 6. Highlight it and click Select. 7. Click on the Key permissions dropdown and select Get, List, Encrypt and Decrypt. The last step before D365 for Finance and Operations can use the KeyVault is to create a C# Class Library that will link to the KeyVault. 3. Highlight Visual C# and select Class Library. 5. With EncryptionTest selected, click on the Project menu and select Manage NuGet Packages. 6. 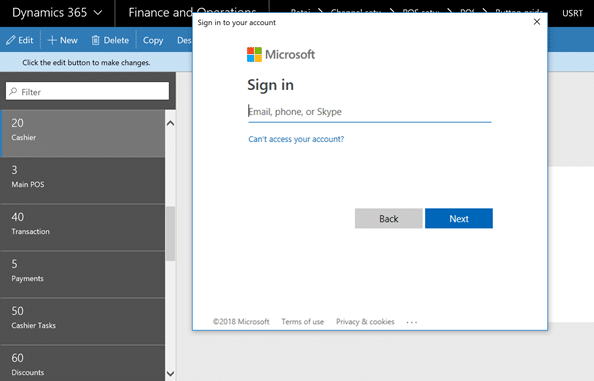 Click Browse to find and add Microsoft.azure.keyvault. 7. Select the returned image and click Install. 8. Accept any License agreements. 9. Repeat the browse and install for Microsoft.IdentityModel.Clients.ActiveDirectory. 10. Close the NuGet window. 11. Right click Class1.cs in the EncryptionTest project and select Rename. 12. Change the name to “EncCalls.” Click Yes if prompted to update the project. 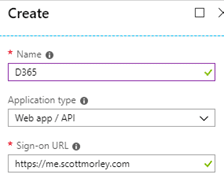 This Class Library can now be linked to a D365 for Finance and Operations event handler method to encrypt and decrypt the data. That process will be reviewed in a future blog post. While access to an Azure KeyVault can simplify the encryption of sensitive data, the implementation would need to be carefully reviewed. In the sample code provided, a call is made to the KeyVault for every encrypt and decrypt request. This may work for data that does not change or is accessed regularly, however, for large volumes of data this will become a bottleneck. Using the KeyVault to store they key, which could be retrieved at the beginning of a process and then running a local encrypt/decrypt method would provide the best performance. Remember, always test in an environment that you can easily restore data to. Encryption can protect your data from everyone – even yourself – if you are not careful. Be sure to subscribe to our blog for more Dynamics 365 tips and tricks! Watch our Power Platform Capability Manager build a fully functioning app – all within minutes! This video showcases the creation of an app that empowers traveling agents and salespeople with single-click options to call, text, and get driving directions to their clients and prospects. 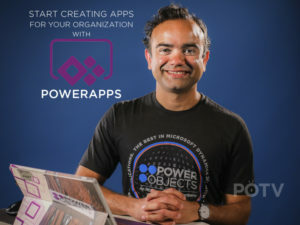 Although this is just one of countless functionalities that can easily be built out with PowerApps, you’ll see the drag-and-drop actions and Excel-like formulas that differentiate PowerApps from other app builders.